Dr. Jason Andress is a security professional with experience in both the academic and business worlds. In his present and previous roles he has provided information security expertise to a variety of companies operating globally. He has taught undergraduate and graduate security courses and conducts research in the area of data protection. 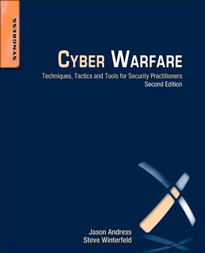 Andress has also written several books and publications covering topics including data security, network security, penetration testing, and digital forensics. Among his most recent books are Cyber Warfare(2nd edt., 2013), The Basics of Information Security (2011), and Ninja Hacking (2010).